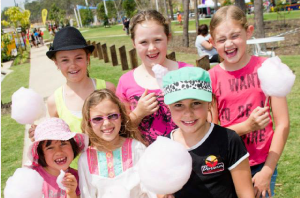 Celebrate Spring with Riverstone Rise's Festival of Fun! All Aboard for Riverstone Rise's Festival of Fun! LEADING developer Devine will host a festive family fun day at its Riverstone Rise community in Gladstone on March 1 as part of its month-long Morevellous campaign. FREE ducted air-conditioning, more house or more alfresco are some of the value added offers for home buyers at Riverstone Rise as part of the month-long Morevellous campaign. A CONTEMPORARY new home focussed on entertaining is the latest open home to be placed on the Gladstone property market by Devine.